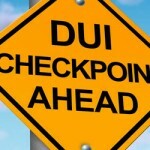 DUI, drug crimes, and juvenile offenses. The Law Offices of Attorney Frank J. Bolock, Jr./Bolock Law is a Northeastern Pennsylvania criminal defense firm concentrating in DUI defense, drug crimes, traffic-related offenses, juvenile offenses, underage drinking and specialized representation in treatment court applications and management of treatment court cases. A former prosecutor, chief juvenile public defendant and special advocate for the Lackawanna County Treatment Court, with over 35 years of legal experience who has earned a reputation for thorough preparation, client satisfaction and innovative defense strategy. If you have been arrested or have reason to believe you may be arrested, or if you believe you may need legal help for any other reason, call Attorney Frank J. Bolock, Jr.
Attorney Bolock will listen to your concerns and work with you to achieve the best outcome possible. The sooner you contact Attorney Bolock, the better Bolock’s chances of preparing a solid and successful defense for you, finding witnesses to aid in your defense, negotiating with the law enforcement and ultimately winning your case or lessoning the DUI/drug charges.